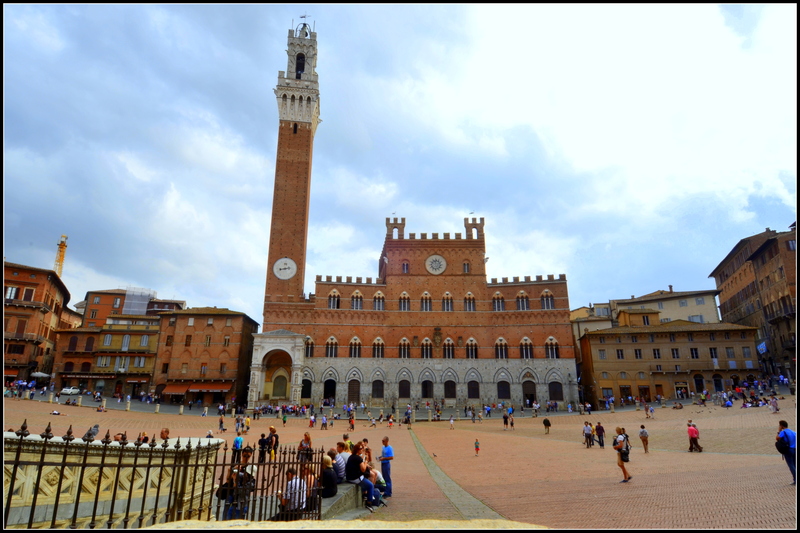 Surrounded by olive groves and the vineyards of Chianti, Siena is one of the most fascinating cities of Tuscany that preserves its medieval character to a remarkable degree. 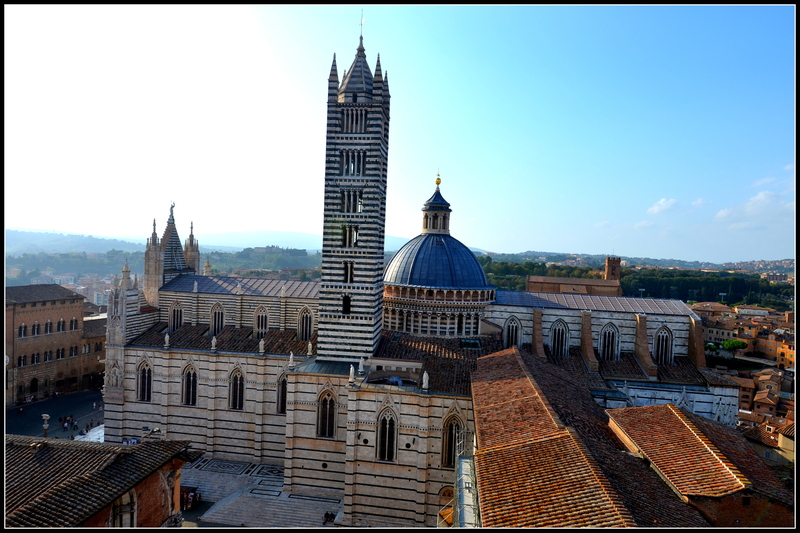 Set on three hills, the city is drawn together by winding alleyways and steep steps, whilst the Piazza del Campo stands at its heart, the Duomo and St Maria della Scala serve as additional cultural landmarks. 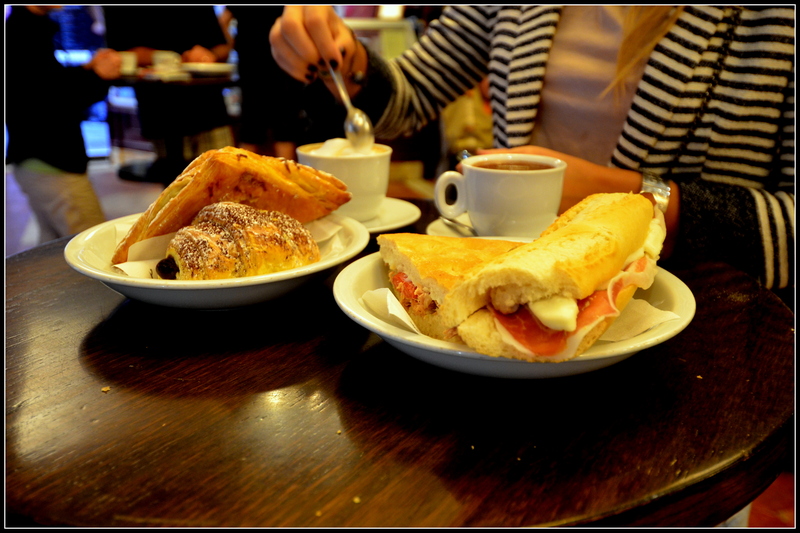 So I start my day with a nice cappuccino at Caffe Nannini to gain some energy to conquer this beautiful city. 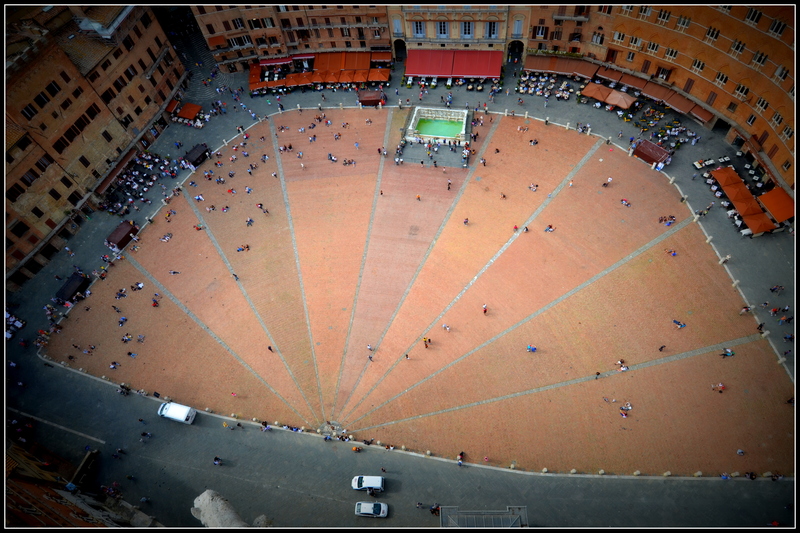 Piazza del Campo, the heart of Siena. 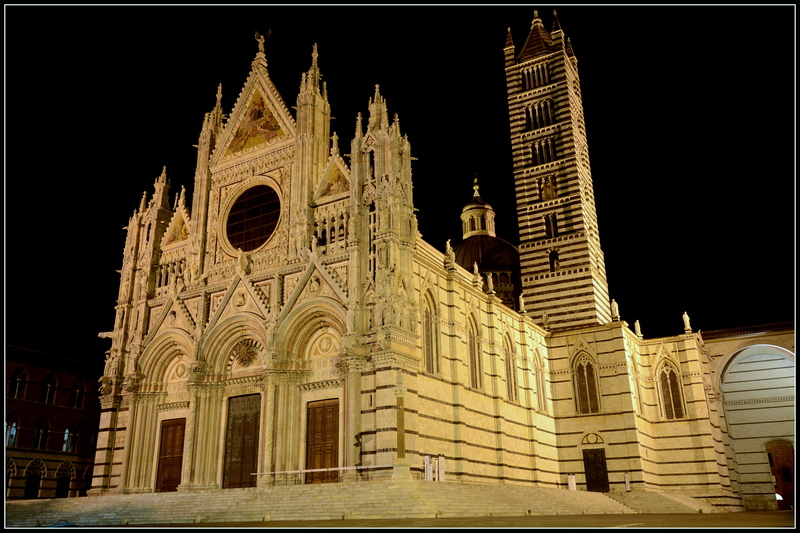 This place is famous for its shell-shape that captures the city life. 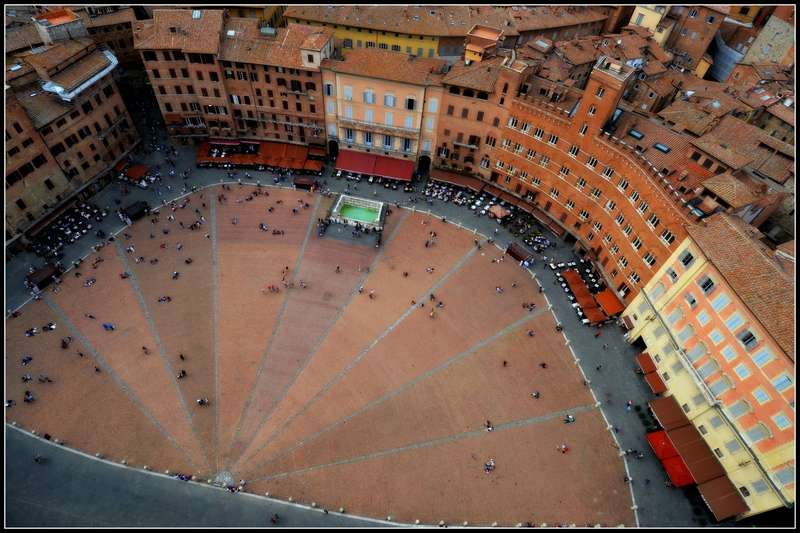 Within the square is the Fountain Gaia, unique by its quadrangular form and beautiful figures around the edges. 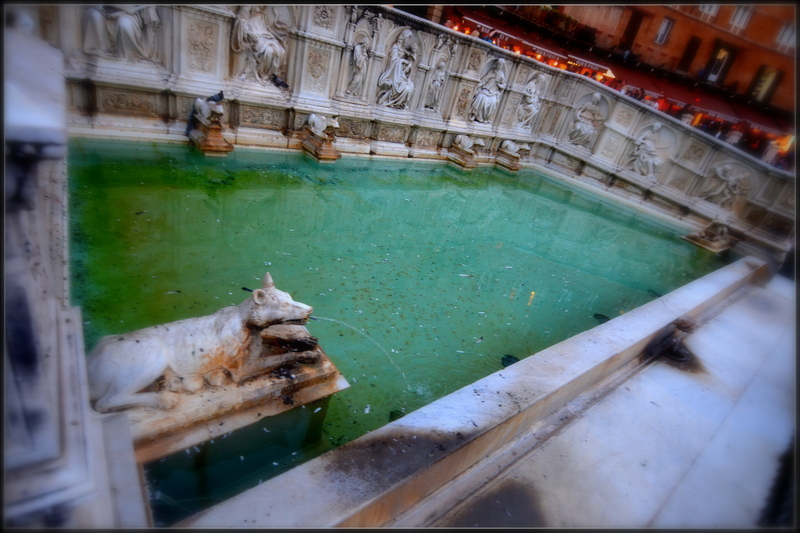 The water comes from the northern part of the city, along a ridge uninterrupted by valleys. 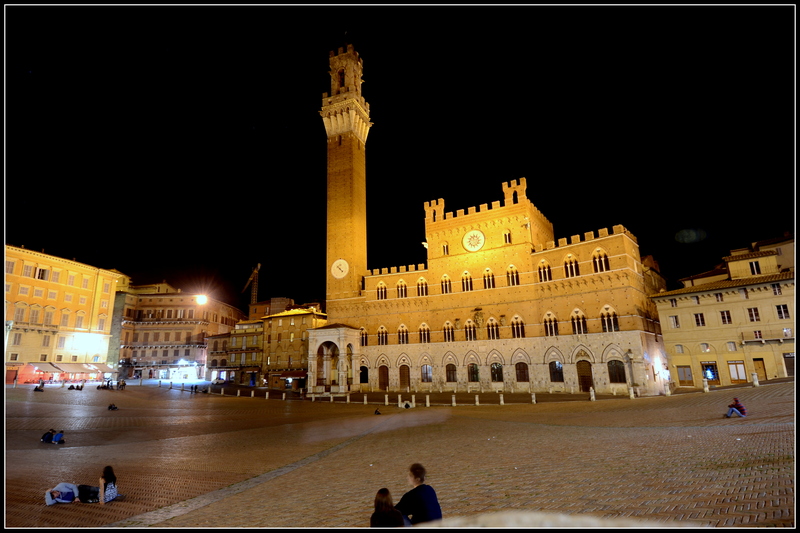 After I took some pictures I went to visit the famous Torre del Mangia and the Palazzo Pubblico from one of the sides of Piazza del Campo. 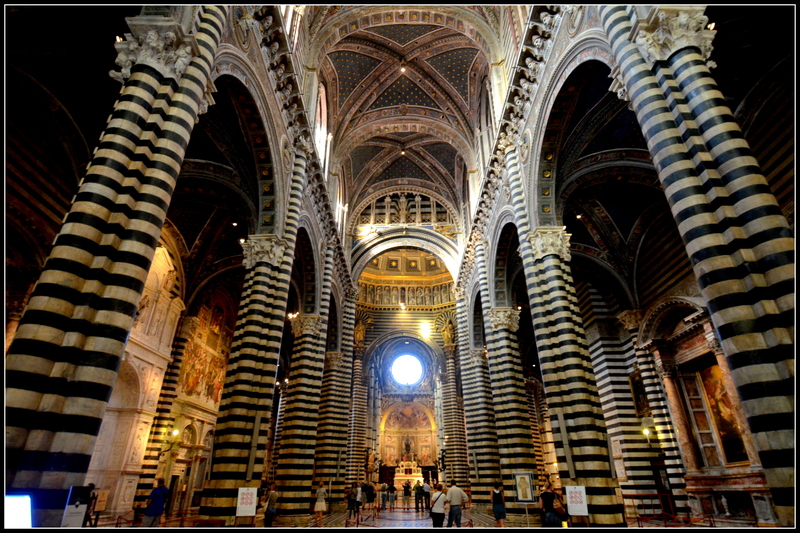 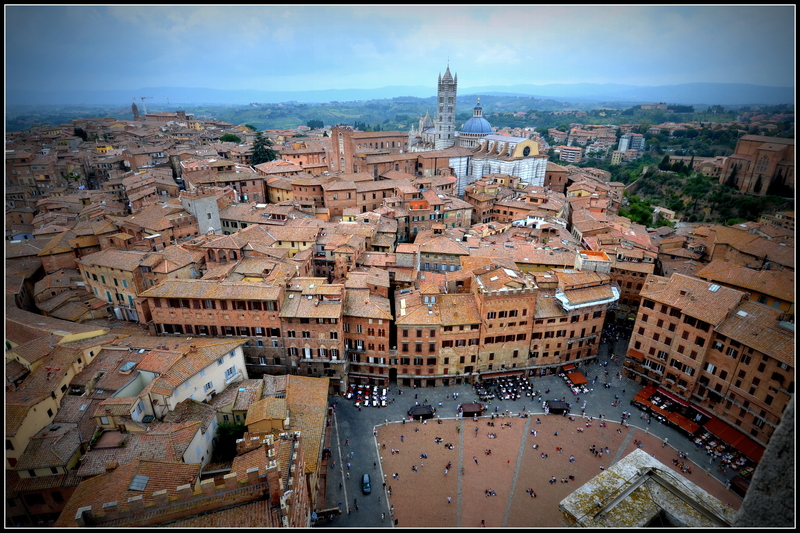 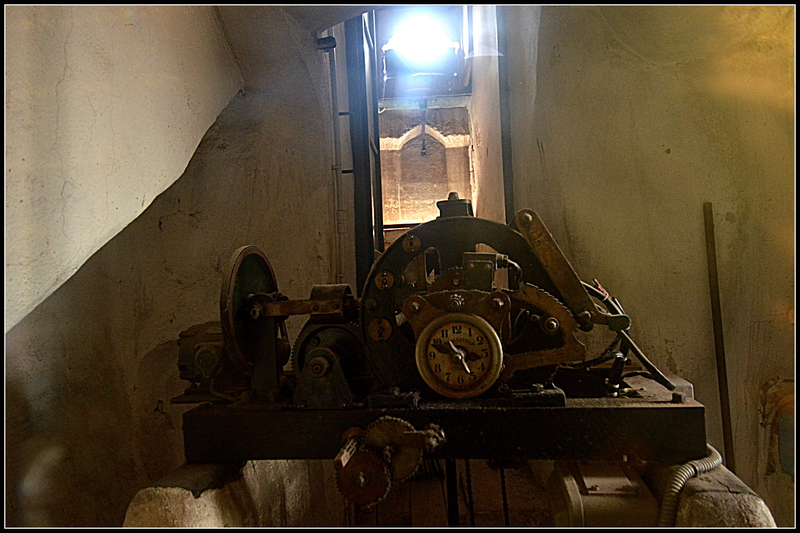 The tower, built in 1848 and 102 metres high, gives excellent views over Siena and the surrounding countryside. 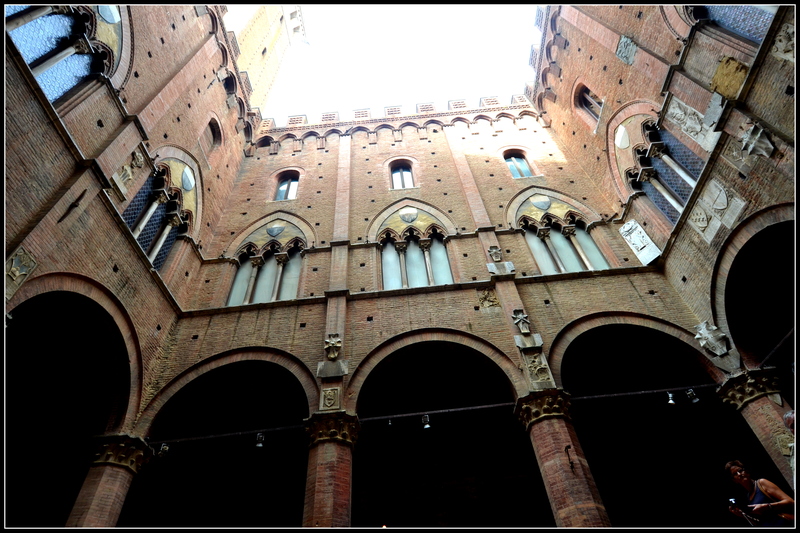 Palazzo Pubblico was built between 1297 and 1342 is an example of classic Gothic architecture in Tuscany. 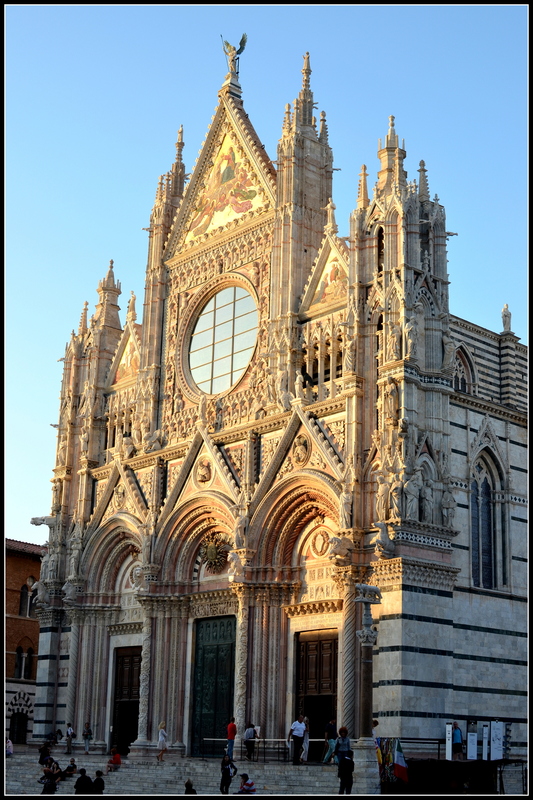 Because it was a little bit windy we didn’t stayed much in the Torre del Mangia and we went to visit the Duomo, a mix of Gothic and Romanesque architecture with dark green and white marble in the facade. 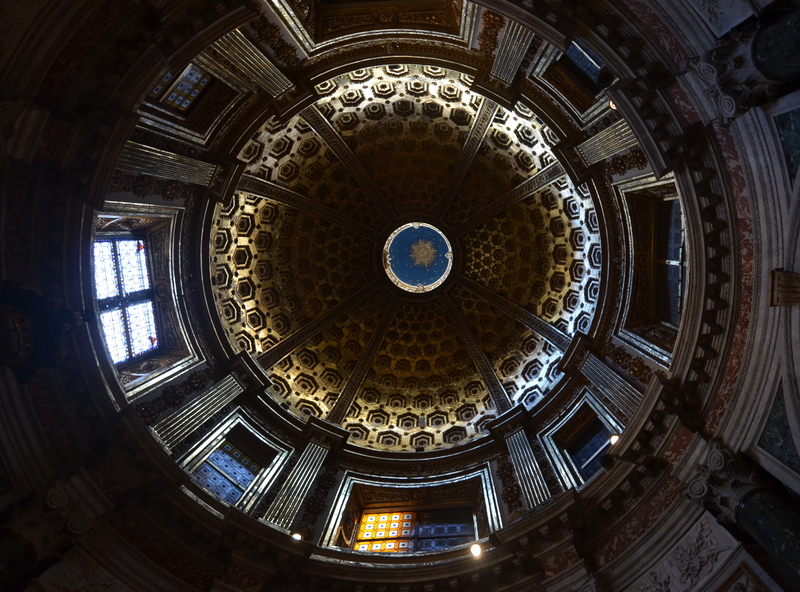 It contains works by many artists, including Donatello, Pisano and Arnolfo di Cambio. 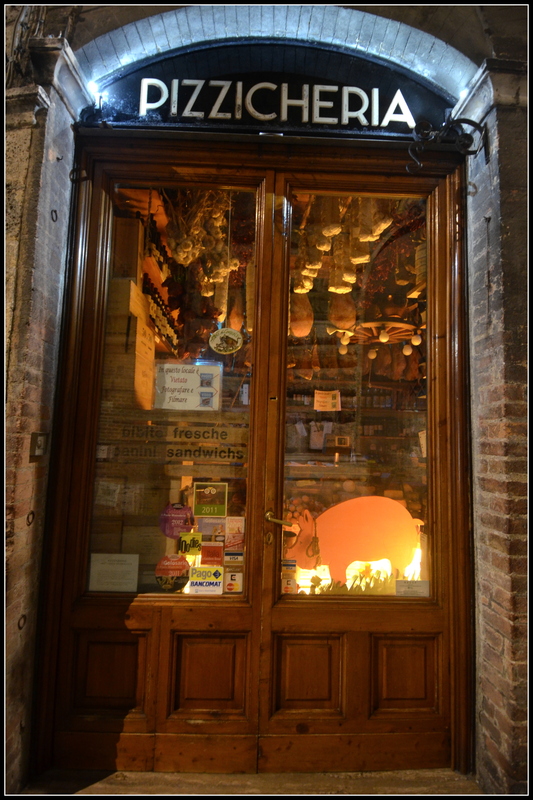 By night we enjoyed a pleasant walk on the main street of Siena ( Via Banchi di Sopra ) with many castles, stores and restaurants.